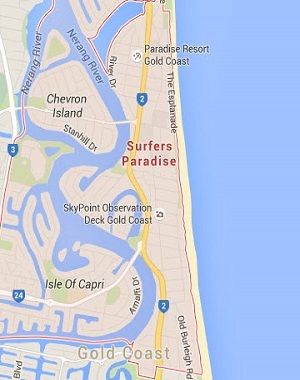 Location of this apartment: Level 7, Boulevard Tower, 6 Orchid Avenue, Surfers Paradise, Gold Coast. 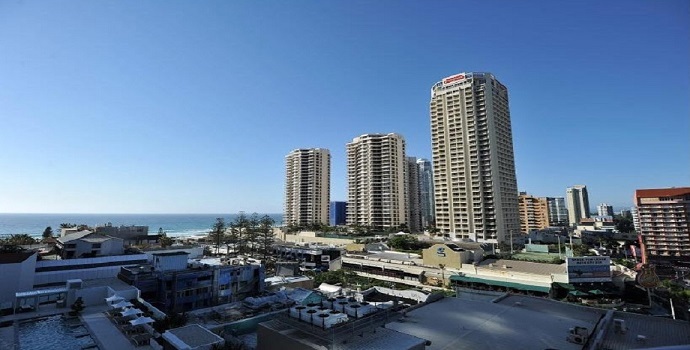 This 2 Bedroom Apartment is located on level 7 of the H Residences building in Surfers Paradise and offers guest Pool and Ocean Views of Surfers Paradise. Gold Coast Private Apartments (GCPA) independently manages this fully self-contained, Two Bedroom Gold Coast Apartment. Gold Coast Private Apartments, Two Bedroom Apartments with direct Ocean Views and Pool Views feature an open plan living with floor to ceiling windows and are fitted with air conditioned rooms and a fully equipped kitchen, dishwasher and microwave, one bathroom with a shower / bath tub (towels supplied). Please note we supply a set of bathroom towels only, we encourage guest to bring their own pool / beach towels. The Two Bedroom Apartments with direct Ocean Views feature a dining table with 6 chairs. In the living room there's a 2 and a half seat sofa bed, coffee table, LCD television, DVD player and a wide range of Cable / Foxtel channels. The master bedroom has 1 x king bed (linen supplied), a wall mounted LCD television, bed side tables with an alarm clock. The second bedroom has 1 x king bed (linen supplied), bed side tables with an alarm clock.